At the annual Leadership Luncheon of the Winegrape Growers of America (WGA), held in Sacramento on January 30, 2019, Jerry Lohr was honored with the third-annual Rich Smith Distinguished Service Award. NGRA is pleased to collaborate with WGA, WineAmerica and the Smith Family to bestow the award, given in the name of the late Rich Smith in recognition of his collegiality and science-oriented service. And we’re thrilled—but not surprised—that Jerry was this year’s recipient. Jerry is a founding member of the National Grape Research Alliance, back when the idea was first hatched in 2003, as the Winegrower’s Critical Research Investment Initiative, and 16 years later, he continues to serve as a member of NGRA’s Board of Directors. 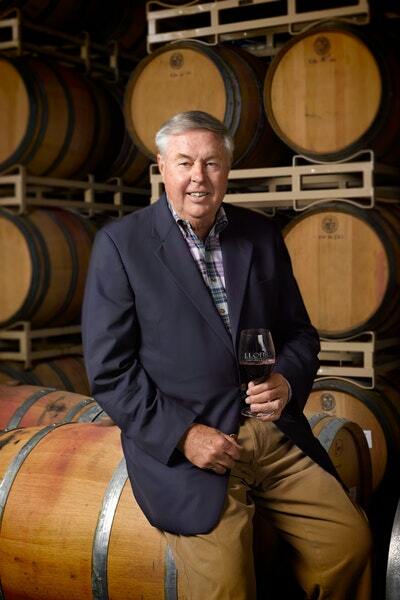 Like Rich Smith, Jerry runs a family business, J. Lohr Vineyards and Wines, an icon of the Central Coast. He is a prolific doer and a well-known force for good. He has worked tirelessly to muster support for priority research for the grape and wine industry, and for important programs and institutions that further our cause. In 2018 alone, he has made considerable contributions of funds and inimitable talent toward water issues in the Central Valley and the new Cal Poly Center for Wine and Viticulture, which will fittingly bear his name (with Justin Vineyards). Jerry is the recipient of many industry awards and accolades. What makes this one special? Its association with Rich Smith. We are so proud to work with Jerry and pleased to be one of the organizations conferring this heartfelt award. Congratulations, Jerry—well-deserved! Read the complete award announcement published by Wine Business Monthly.